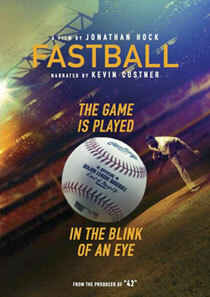 Hank Aaron and Derek Jeter, with Kevin Costner narrating, lead a cast of baseball legends and scientists who explore the magic within the 396 milliseconds it takes a fastball to reach home plate, and decipher who threw the fastest pitch ever. Bonus features. Color. 86 mins. Select Blu-Ray or DVD.